If dealers don’t ask for a firm appointment, customers likely don’t call back. Dealers need to adopt effective phone strategies that can turn a customer’s initial inquiry — by phone, email or otherwise — into a sales tool, experts say. Mike Haeg, vice-president of automotive at U.S.-based Car Wars, said mobile searches will generate an estimated 73 billion calls to U.S. dealerships in 2018, compared with 30 billion in 2013, an increase of more than 140 per cent. While those statistics apply to the U.S. market, the trend is similar in Canada, he said. The way a dealership handles that initial call and processes it to set up a firm appointment with a customer is critical, Haeg recently told dealers gathered for a DealerTalkx conference in Toronto. 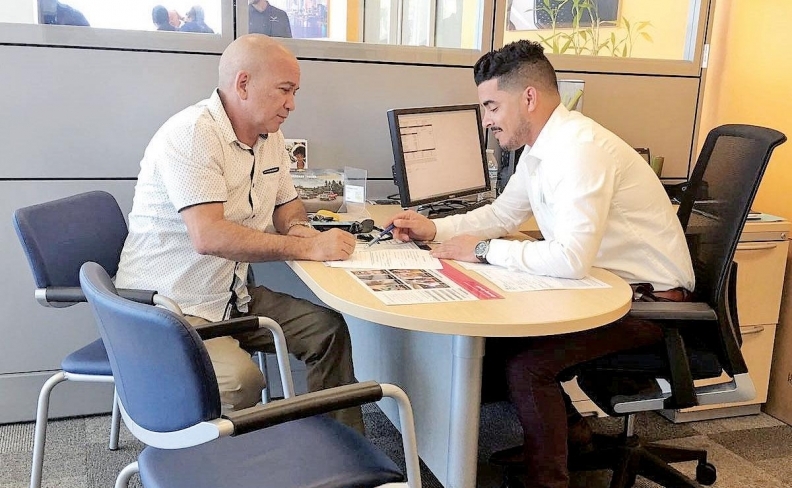 Haeg’s company has developed a strategy called CRISP, an acronym that stands for: Connecting callers to someone who can help, Requesting the appointment and Inviting each caller in for a test drive, Setting firm appointments and Pursuing missed opportunities. “Dealers can understand crazy metrics, but they don’t have time, so that’s why we came up with this,” Haeg said. Susan Gubasta, CEO of Mississauga Toyota in Ontario and president of the Trillium Automobile Dealers Association, said improving the way her dealership answered customers’ initial calls increased the conversion-to-appointment rate to 30 per cent from seven per cent compared with three months earlier this year. Gubasta said she realized her product advisers needed phone-skills training after her management team attended a seminar earlier this year by a Scottsdale, Ariz., company that provides training to drive more traffic to showrooms. “That first call can make or break ever seeing that guest at your door,” she said. “If you handle the calls professionally and properly and take control of the questions and know how to answer them to get the guest to your door, it’s going to make a world of difference for dealerships, and that’s where we’re at. Haeg and Cassie Broemmer, executive vice-president of business development at Car Wars, conducted demonstrations with dealers who agreed to let them phone their unsuspecting receptionists. The experiment yielded results ranging from leaving the caller on hold for as much as three minutes to processing the call directly to a salesperson or manager who answered all the questions and set up a firm time for an appointment.